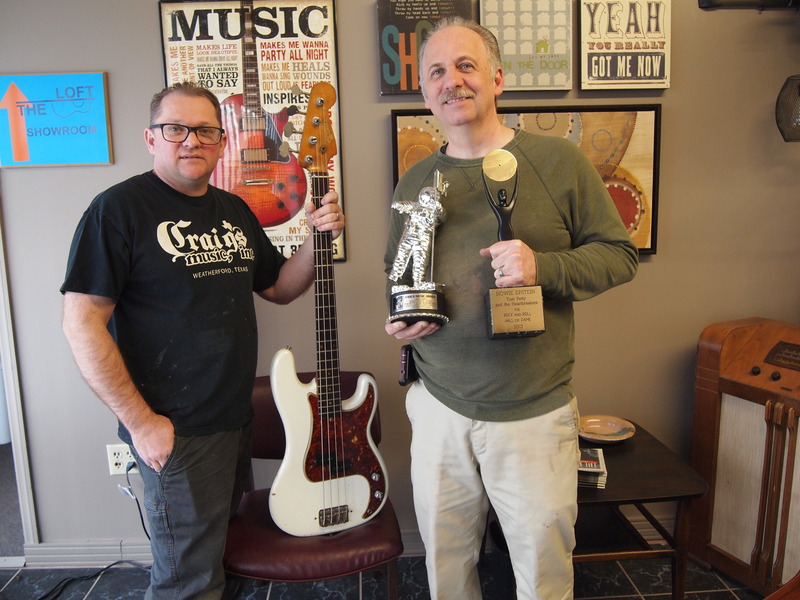 A collector and huge fan of Howie Epstein stopped in with Howie’s 1960 Fender P Bass and two awards that Howie had won. 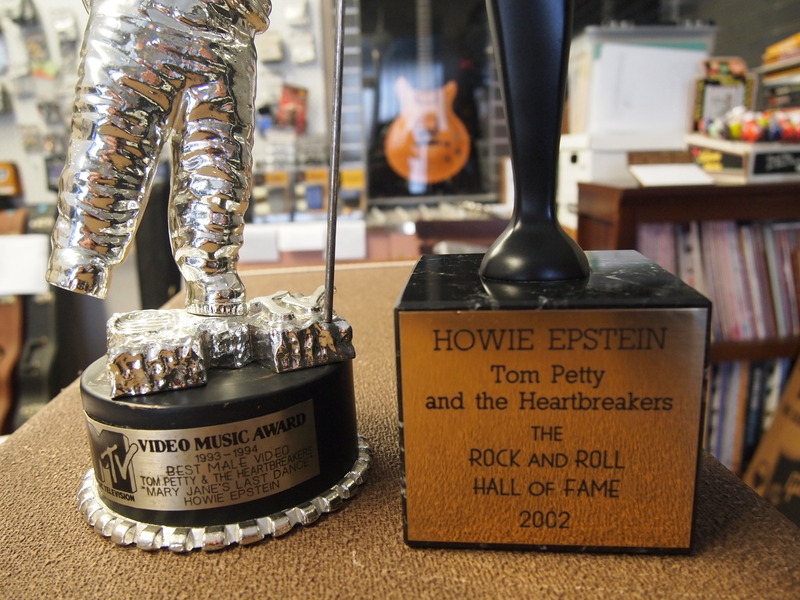 Howard Norman “Howie” Epstein (July 21, 1955 – February 23, 2003) was an American musician best known as a bassist with Tom Petty and the Heartbreakers. 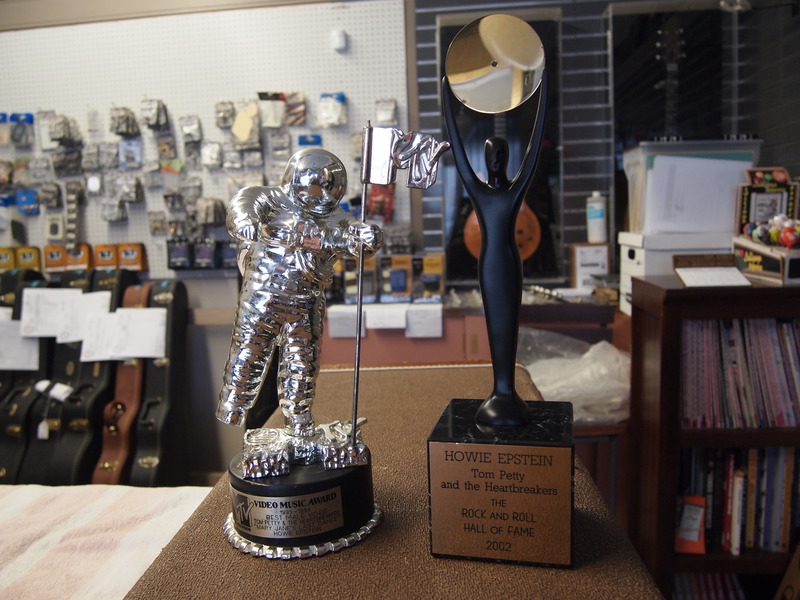 Pictured below is Joel and Dan Shinn with that bass and Howie’s 1993-1994 MTV video music award and 2002 Rock and Roll Hall of Fame award.